Protecting your private information is our priority, as is optimising your experience as a Life Skills 4 Kids and Life Skills 4 Kids customer, subscriber, and website visitor. We respect the privacy and confidentiality of the information provided by you and adhere to the National Privacy Principles contained in the Australian Privacy Act 1988 (Cth) (Privacy Act) and the GDPR. 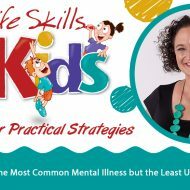 www.lifeskills4kids.com.au and any other subdomains that link to this website. To have your personal data removed from our systems, which include international data storage, please contact us at support@lifeskills4kids.com.au. In short, we use the information we collect about you to improve the services and products that we provide, tailor our marketing strategy, make informed decisions about our business, and inform you of our products and services that may be of interest to you based on your customer engagement, feedback and website use. We also have an international team and use apps that store personal data in international locations – This includes our inbox and CRM if you email us, work with us, or subscribe to any of our mailing lists. We also use tracking applications such as the Facebook Pixel, Google Analytics, and Infusionsoft website usage tracking to determine how you engage with our website and to tailor our marketing and advertising to you. If you aren’t keen on having details of your website use, personal information such as name, location and contact details, financial information or any other personally identifiable data stored internationally or used for marketing purposes, simply email us now to have your info erased from our systems. This is the privacy notice of www.lifeskills4kids.com.au. In this document, ““we”, “our”, or “us” refers to Life Skills 4 Kids Pty Ltd, a company registered in NSW Australia, ABN 811 6712 7488. Our policy complies with Australian and UK law accordingly implemented, including that required by the EU General Data Protection Regulation (GDPR). You may withdraw your consent at any time by instructing us support@lifeskills4kids.com.au. However, if you do so, you may not be able to use our website or our services further. 3. Information we process for the purposes of legitimate interestsation on the basis there is a legitimate interest, either to you or to us, of doing so. record-keeping for the proper and necessary administration of our Life Skills 4 Kids business. Provided your request is reasonable and there is no legal basis for us to retain it, then at our discretion we may agree to your request to delete personal information that you have posted. You can make a request by contacting us at support@lifeskills4kids.com.au. At the point of payment, you are transferred to a secure page on the website of Eway or some other reputable payment service provider. That page may be branded to look like a page on our website, but it is not controlled by us. We record your request and our reply in order to increase the efficiency of our Life Skills 4 Kids. We may also compile statistics showing information obtained from this source to assess the level of service we provide, but not in a way that could identify you or any other person.If you have a complaint about how we are collected or handled your personal information, please contact us. We will endeavour in the first instance to deal with your complaint and take action to resolve the matter. · Cookies are small text files that are placed on your computer’s hard drive through your web browser when you visit any web site. They are widely used to make web sites work, or work more efficiently, as well as to provide information to the owners of the site. · Like all other users of cookies, we may request the return of information from your computer when your browser requests a web page from our server. Cookies enable our web server to identify you to us, and to track your actions and the pages you visit while you use our website. The cookies we use may last for a single visit to our site (they are deleted from your computer when you close your browser), or may remain on your computer until you delete them or until a defined period of time has passed. · to enable you to watch videos we have placed on YouTube. YouTube will not store personally identifiable cookie information when you use YouTube’s privacy-enhanced mode. Our web sites are hosted in Australia. We also use outsourced services in countries outside Australia from time to time in other aspects of our business. Specifically, our technical centre is based in Brisbane, QLD Australia. Accordingly data obtained within Australia may be “processed” outside Australia and data obtained in any other country may be processed within or outside that country.